It always feels great to score your first career goal, but when it’s the game-winner against a division rival it’s even sweeter. 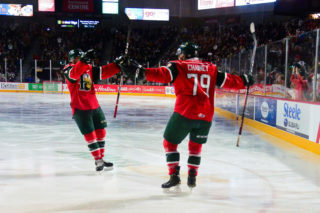 That’s exactly what rookie Samuel Dube accomplished on Wednesday night in Halifax as the Mooseheads took down the visiting Charlottetown Islanders 4-1 at Scotiabank Centre. Dube’s goal was a long time coming for the 16-year-old from Bad Tolz, Germany who missed nearly the entire first half of the season with a blood clot in his leg. It was hard to wipe the smile off his face after the game as the likable young player received numerous congratulatory handshakes and hugs. “Oh yeah it felt great. I was just full of adrenaline when the puck was in the net and I was just so happy,” he said. 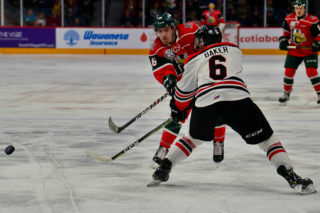 The victory is the fourth in a row for the Mooseheads who improved to 37-11-2-1 and pulled even in points with idle Baie-Comeau atop the Eastern Conference standings. Halifax got on the board at the 6:44 mark of the opening period when the big line contributed once again. Raphael Lavoie shot the puck in from a tough angle along the goal line with an assist going to Samuel Asselin. That extended the point scoring streak for Asselin to 10 consecutive games with the veteran producing 21 points over that stretch. 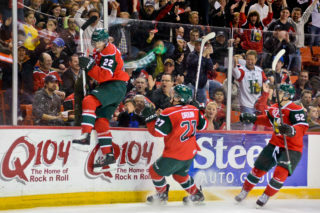 The puck found Dube at the side of the net less than a minute later and he jumped into the glass in celebration as the Herd went ahead 2-0. Xavier Parent and Keith Getson had the helpers on the rookie’s first QMJHL tally. With stitches featured prominently on his forehead, a souvenir from a heavy hit in Moncton, Dube explained that the Moose are feeling like a complete team lately. The Islanders cut into the Halifax lead exactly halfway through the first period when Nikita Alexandrov notched his 25th goal of the season but that was all that the stingy Alex Gravel would allow. The big goalie stopped 25 of 26 shots for his 26th win of the season and 63rd of his career. Gravel is five wins behind J-S Giguere for second in franchise history. Joel Bishop took care of the insurance in this game as he extended the lead to 3-1 with a pretty backhand goal on a partial break in the second period and he added an empty net goal in the dying seconds. The St. John’s, NL 19-year-old hasn’t scored a ton this season but he has done it in bunches. Bishop has nine goals on the year but has scored twice in three games this season. Halifax once again had to juggle lineup issues with Cole Stewart joining a long list of injured players and Ben Higgins sitting out with a one-game suspension. 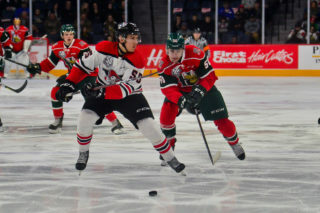 Forwards Sonny Kabatay and Gavin Hart were called up from their respective teams while defenceman Jack McGovern also made his way from Truro and took warmup with the team as a contingency plan. Patty Kyte took a hard shot off the foot in practice on Tuesday and was questionable. Kyte was able to go and even picked up an assist in the victory. The trio of Asselin, Lavoie and Morand have now combined for 31 points in the last four games. 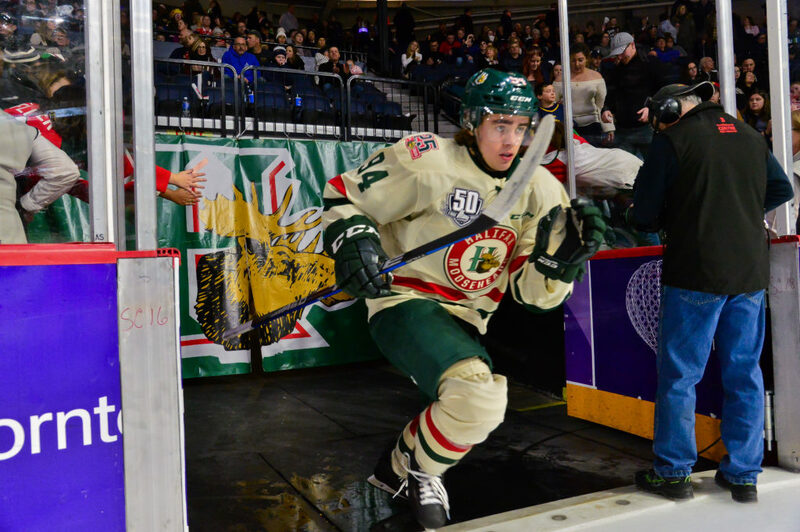 The next game for the Mooseheads is Friday night at home when they take on the Acadie-Bathurst Titan at 7pm. 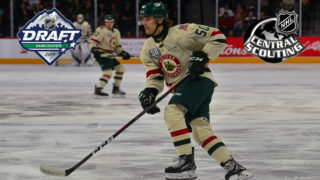 Tickets are on sale now at the Ticket Atlantic Box Office, select Superstore Outlets, TicketAtlantic.com, the Official Mooseheads Shop in Scotia Square or charge by phone 902-451-1221.